Old Santee Canal Park is a 195-acre park located along the Cooper River in Moncks Corner. The park was constructed in 1989 near the southernmost section of the Old Santee Canal. Chartered in 1786 and completed in 1800, the Santee Canal was the first summit canal built in America. 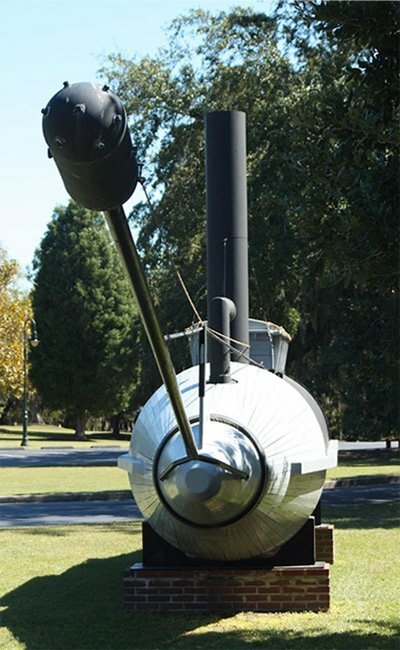 It was also an integral part of a growing South Carolina economy, as it connected the Santee and Cooper rivers and provided a safer, more direct route for goods to travel from the Upstate and the Midlands to the port of Charleston. Among the shareholders of the charter were several notable South Carolinians, including William Moultrie, Francis Marion, and Charles Pinckney. The 22-mile canal operated until the 1850s, when increasing costs and competition from railroads forced the shareholders to surrender the charter. Most of the abandoned canal disappeared in the early 1940s with the creation of Lake Moultrie and Lake Marion, but sections of it can still be seen along the park’s trails. Thousands of acres were cleared during the creation of the Santee-Cooper Hydroelectric and Navigation Project between 1939 and 1942. This work necessitated the construction of work camps for employee housing. Twenty-two camps were created, and 11 of these were portable so they could be relocated as work advanced. These camps were made up of cabins like the ones seen above. 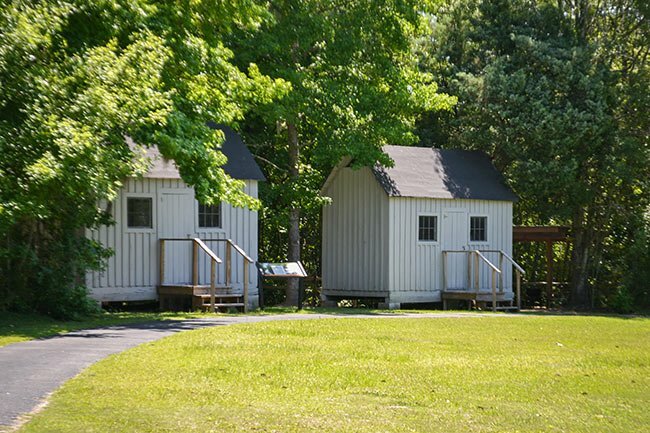 The cabins provided workers with safe and clean quarters. The creation of the camps was made possible largely by the Works Progress Administration. Today, visitors can explore the history and natural beauty of the area as the park offers nearly four miles of boardwalks and trails as well as an interpretive learning center. Also located on the grounds of the park is the Berkley County Museum and Heritage Center. Stony Landing Plantation house, seen above, was built in 1843 as a second residence for John H. Dawson, a Charleston merchant. The house is simple in plan with four rooms downstairs and modest bedrooms upstairs. 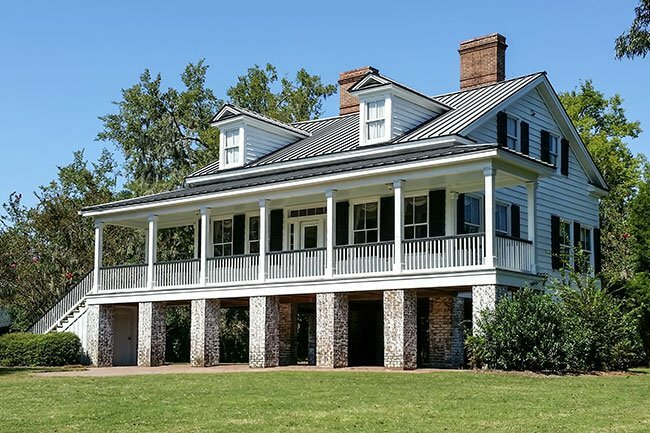 During the Civil War this was home to Dr. St. Julien Ravenel who was given credit for promoting the construction of the Little David submarine in complete secrecy here. By 1910, the home was the residence of the Dennis family who were prominent in the area. This was the childhood home of South Carolina State Senator, Rembert C. Dennis. The Santee Canal was constructed between 1793 and 1800 under the direction of Col. John Christian Senf, South Carolina State Engineer. Conceived to provide a shorter, safer water route from inland South Carolina to Charleston, the canal was one of the earliest important canals in the United States and perhaps the earliest major internal improvement project in the state. Originally intended as a delivery route for foodstuffs, the advent of successful cotton production made the canal more useful for transporting cotton bales. In 1830, during its most prosperous period, 720 boats arrived in Charleston bearing about 70,000 bales of cotton via the canal. 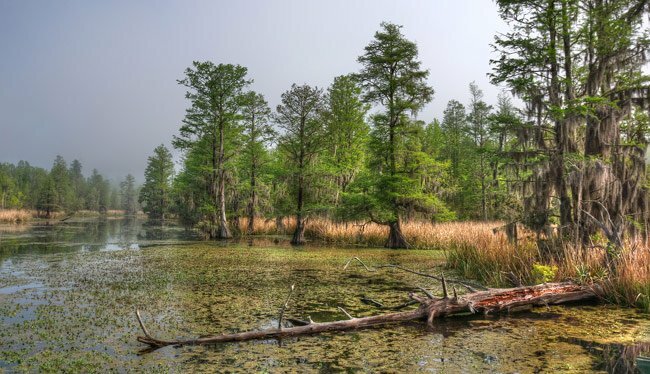 The canal route was twenty-two miles long, beginning two miles below Greenwood Swamp on the Santee River and entering the Cooper River at Stoney Landing, approximately two miles east of Moncks Corner. The canal was thirty-five feet wide at the top and five and one half feet deep, sloping to a bottom width of twenty feet. With the exception of a wooden tidal lock, all the locks were made of brick and stone. In addition to the canal itself, there were several warehouses, keepers’ houses, and other ancillary buildings along the route. All associated outbuildings, turning basins, lock bridges and the wooden lock have been destroyed. The towpaths are visible for large parts of the canal. The remains of the canal are overgrown with vegetation and are rapidly deteriorating. While the subject of hauntings remains objective, we definitely love to hear the stories. What kind of experience did you have? Tons of historical events have happened on this property so we would be pretty surprised if some of that energy wasn’t hanging around.. somewhere. Is the plantation haunted? I think I was affected by an unexplained presence on the night of my father’s wedding. 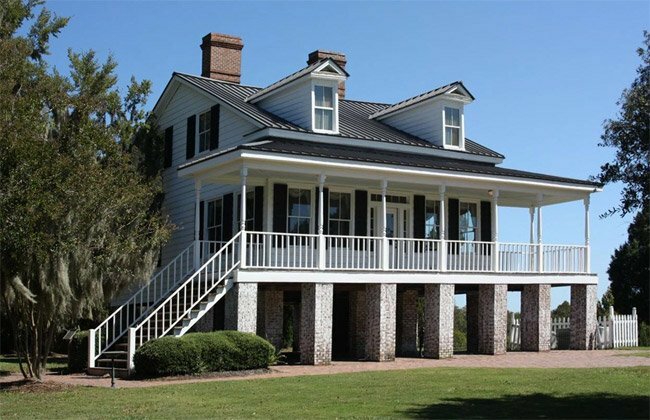 The Stony Landing plantation house is awesome.